It's only a month or so since Apple unveiled the Series 3 watch, but already our thoughts are turning towards its successor, which should arrive in 2018 - the Apple Watch Series 4. Can Apple put out a smartwatch that tempts casual buyers and Apple loyalists alike? Well, we've got a few pointers for what we'd like to see in next year's smartwatch, assuming Apple keeps up the same sort of release schedule. If the 2017 hasn't convinced you, then perhaps the Series 4 is going to be worth the wait for your next wearable. Before we can get on to some informed speculation about the Apple Watch Series 4, we need to go back and recap what Apple has done so far. The first Apple Watch came out way back in April 2015, which means we're now more than two years into the Apple Watch era. Back then it was slower than it is now, and of course couldn't do much at all without the help of an iPhone. 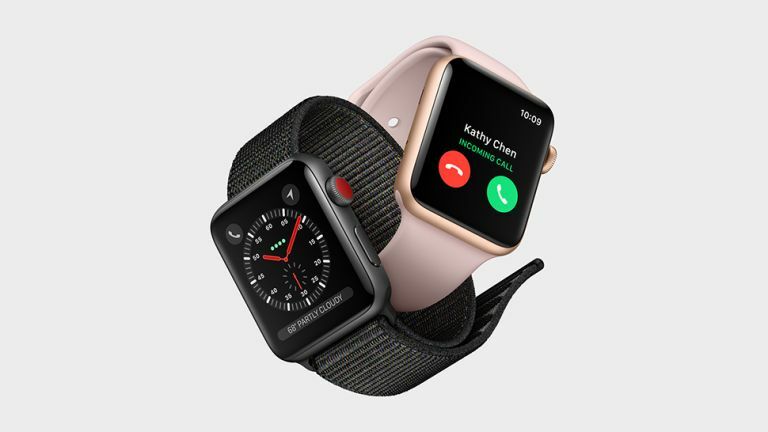 The Apple Watch Series 2 appeared in September 2016, adding standalone GPS and water resistance, as well as a welcome boost in speed - it fixed a lot of the frustrations that people had with the first watch, and set a new September schedule for the wearable. And then in September 2017, as we've already referred to, we got the Series 3. This time around the new features included independent data connection capabilities, so you could make calls and stream music without a connected phone and without a Wi-Fi signal. On top of that there's been another performance boost - Apple says the Series 3 watch is some 70 percent faster than the Series 2, and can still manage 18 hours of battery life. Let's not forget watchOS - version 4 appeared at the same time as the Apple Watch Series 3, bringing with it improved heart rate, workout and high intensity training apps, plus the usual additions of extra watch faces and a few other minor improvements. Now that the Apple Watch has GPS and cellular connectivity, it's not easy to think of any major hardware features that are still missing. Early reviews have mentioned problems with data and Wi-Fi connectivity, so making sure those features work as advertised and are always rock solid would be a good start. There are some givens as well: new watch faces, a faster processor, and an experience that's snappier overall. We would expect all that in the Apple Watch Series 4. We haven't seen major aesthetic upgrades so far in the Apple Watch line - from the outside, the third edition looks very much like the first edition - and that pattern is unlikely to change with the 2018 model. A major form factor change isn't on the cards. For the Series 4 it would be a good idea for Apple to stick to the smartwatch's strengths: better health and fitness tracking, a more intuitive software experience, and better Siri integration (which is already pretty good). Keep an eye on rumours about the watchOS 5 software then - which will no doubt trickle down to older Apple Watch models as well as the brand new Apple Watch Series 4. Overall we're not expecting any major new features with the Series 4. Mobile data and standalone calling was the one big feature that was missing, and the Series 3 model has got it, so this time next year we'd expect a more subtle, refined update. With the last two Apple Watch devices arriving in September, alongside new iPhones, it's a reasonably safe bet that the Apple Watch Series 4 is going to make its debut in September 2018. The Apple Watch is very closely associated with the iPhone after all, so it makes sense for Apple to unveil them together. What about Android support for the Apple Watch, now it can connect to Wi-Fi and data networks on its own? That's something we'd like to see, but it's never going to happen. Apple steadfastly refuses to open up its products to the worlds of Windows and Android, on the whole, and there's no reason for it to change now. Then there's pricing - Apple likes to keep everything the same from year to year, give or take some slight fluctuations. At the moment you can pick up an Apple Watch Series 3 for £329/$329, or £399/$399 with cellular connectivity. Those are the starting prices with the most basic bands. The Apple Watch Series 4 will most likely launch at the same price when it comes out, with Apple keeping several older models around at lower prices as well. Apple has done well in upgrading and improving the Apple Watch over the last couple of years, and as long as it can iron out connectivity problems on the Series 3, it's a smartwatch that's difficult to improve on. Look for software tweaks to be the biggest changes next year, making the whole smartwatch experience more intuitive and more seamless for iPhone owners.